St. Joan of Arc is the patroness of soldiers and of France. On January 6, 1412, Joan of Arc was born to pious parents of the French peasant class in the obscure village of Domremy, near the province of Lorraine. At a very early age, she was said to have heard the voices of St. Michael, St. Catherine, and St. Margaret. 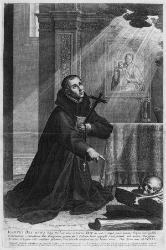 Jesuit, always pious, who died in 1621 at the age of 22. Or John Boast. Priest, martyred at Durham in 1594. One of the Forty Martyrs of England and Wales. 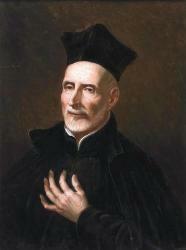 Priest, founder of the Piarists, d. 1648.